Following on from my time as an Olympic Ambassador, and my shifts across London as a Team London Ambassador this year, in September I volunteered as a Ships’ Liaison Officer (SLO) for the Tall Ships Festival, which returned to London after 25 years. 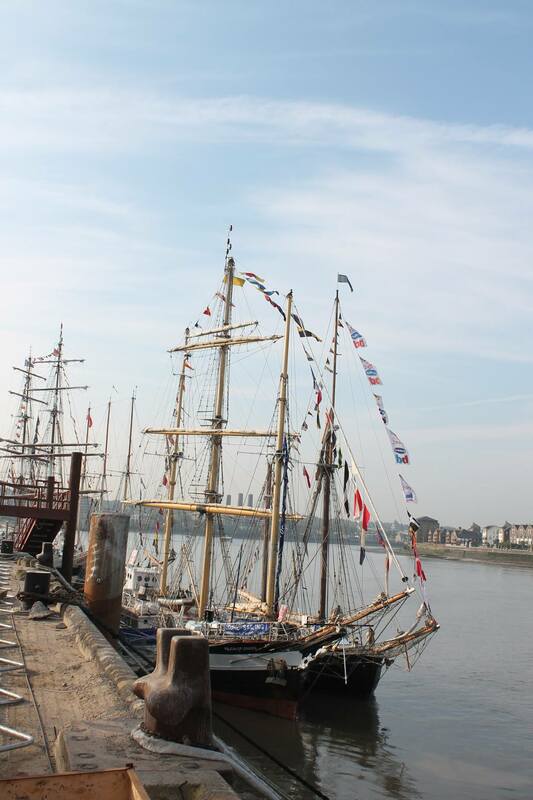 The event saw Greenwich host as many as 50 magnificent sailing ships, many used as training vessels for young people, and also included “Tenacious”, from the Jubilee Sailing Trust, which is sailed by a crew with physical disabilities. 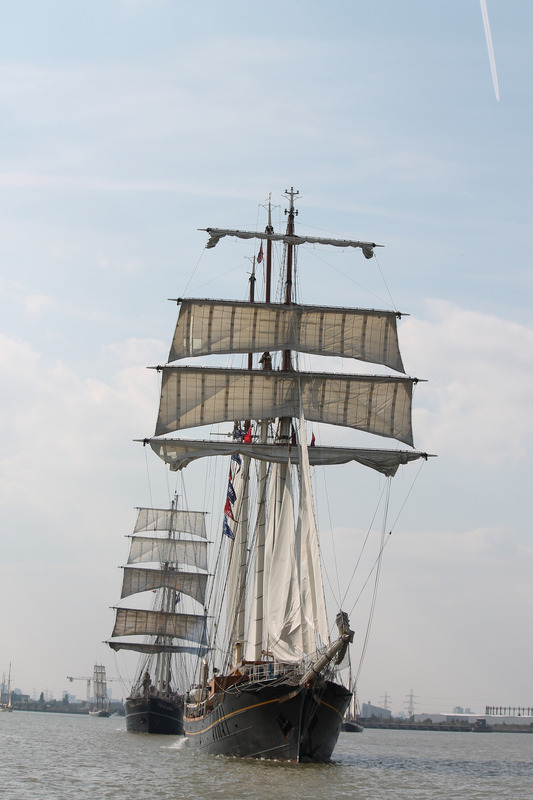 My assigned vessel, along with a fellow SLO, was “The Pelican of London”, a beautiful sailing ship, with a fantastic crew. Over the five days of the festival, my role as an SLO involved helping out with visitors to the ship – we had more than 1,800 visitors and it was great to meet everyone who came aboard. My other duties involved assisting the captain and crew in making sure all necessary supplies were delivered to the ship on time, running errands, and generally making myself useful. We were lucky enough to have warm, sunny weather – something of a rarity for London – and the highlight of the festival for me was to be one of the few very lucky SLOs to be invited by the captain to join the crew on board the Pelican for the final day’s event – the Parade of Sail – which involved all 50 or so ships in full splendour sailing down the River Thames. The ships massed at Canary Wharf from their various London moorings [Greenwich (Enderby Wharf and Victoria Deep Water), Woolwich and Canary Wharf (Wood Wharf], before setting off in a magnificent procession down to the historic Royal Borough of Greenwich, where many thousands of well-wishers lined the shore to see us off. The ships then sailed out of London waters to their various destinations around the world. The Pelican of London was on its way to Weymouth, and my SLO partner and I were picked up by a pilot boat who took us to shore at Gravesend and we returned to London by train. It was a great day – so spectacular seeing London landmarks from the River Thames, and the perfect way to cap a great tall ships adventure. © Susannah Jayes/Mayflower Media Ltd 2014.